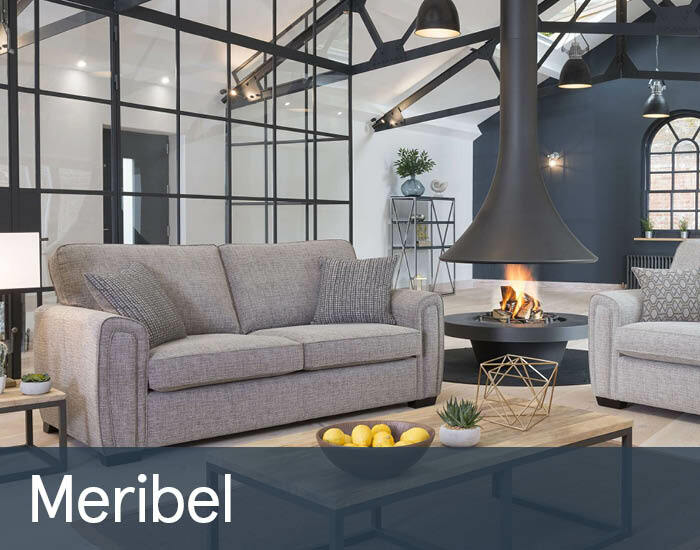 Meribel is a stylish, contemporary collection that will bring generous comfort, quality and versatility to any modern living space. Neatly upholstered in a fashionable selection of luxurious coordinating fabrics, you can choose from 4 sizes of sofa, as well as a useful sofabed plus statement designer swivel chair. Then sit back in complete comfort, rest assured with a 10 year frame and seat guarantee.